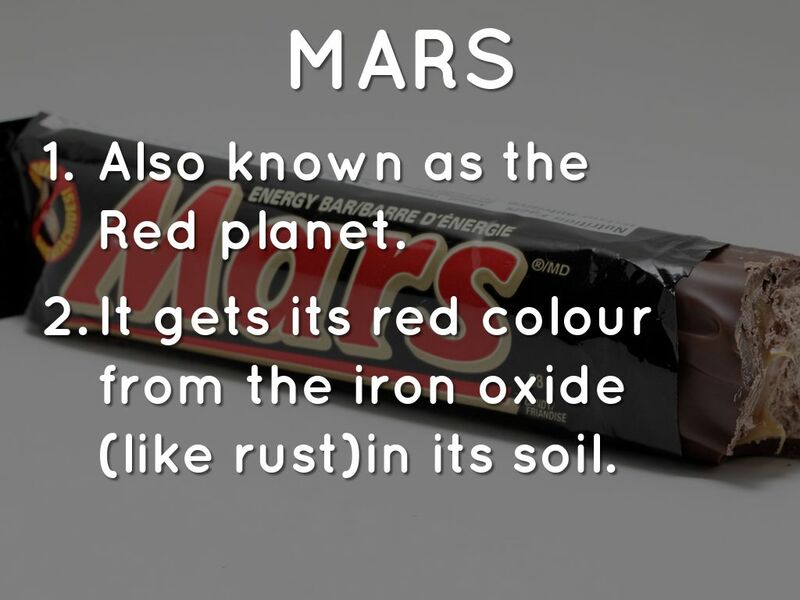 It gets its red colour from the iron oxide (like rust)in its soil. It is a very active planet like the Earth. 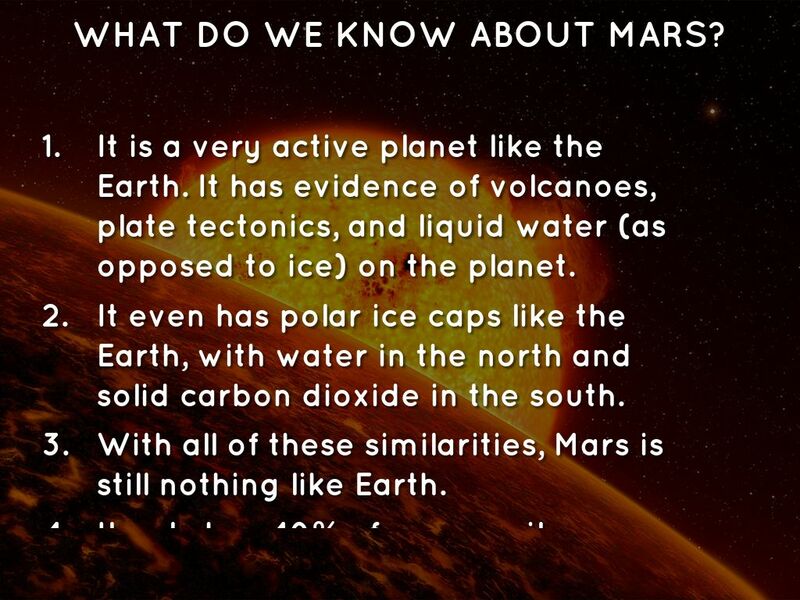 It has evidence of volcanoes, plate tectonics, and liquid water (as opposed to ice) on the planet. It even has polar ice caps like the Earth, with water in the north and solid carbon dioxide in the south. With all of these similarities, Mars is still nothing like Earth. It only has 40% of our gravity because the mass of the planet is so much smaller. 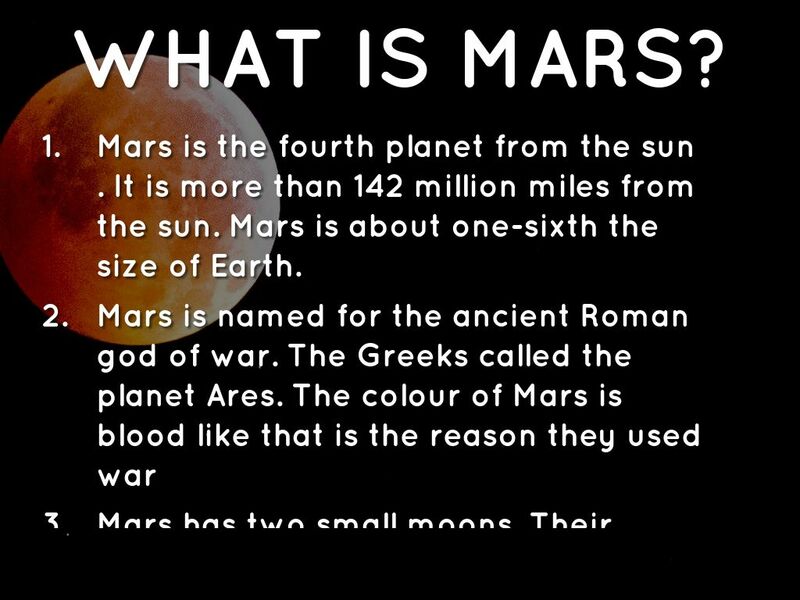 Mars is the fourth planet from the sun . It is more than 142 million miles from the sun. Mars is about one-sixth the size of Earth. 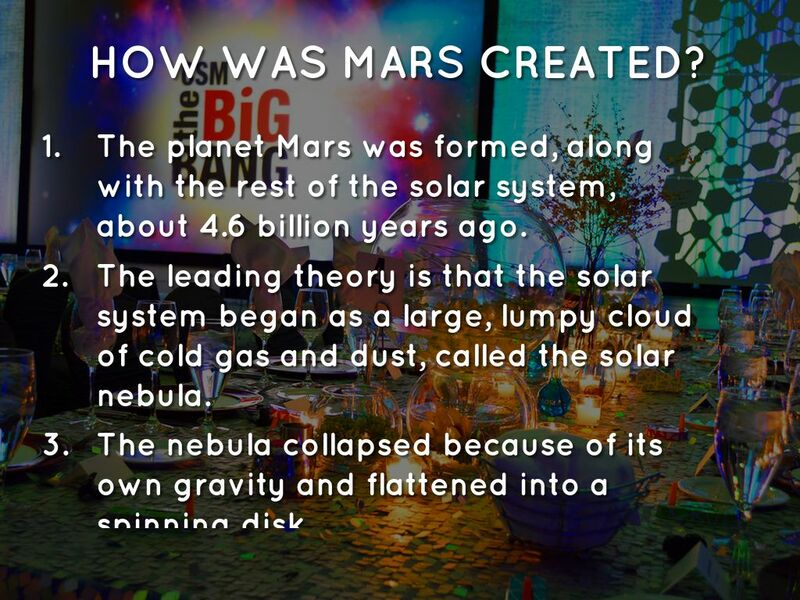 The planet Mars was formed, along with the rest of the solar system, about 4.6 billion years ago. The leading theory is that the solar system began as a large, lumpy cloud of cold gas and dust, called the solar nebula. The nebula collapsed because of its own gravity and flattened into a spinning disk. 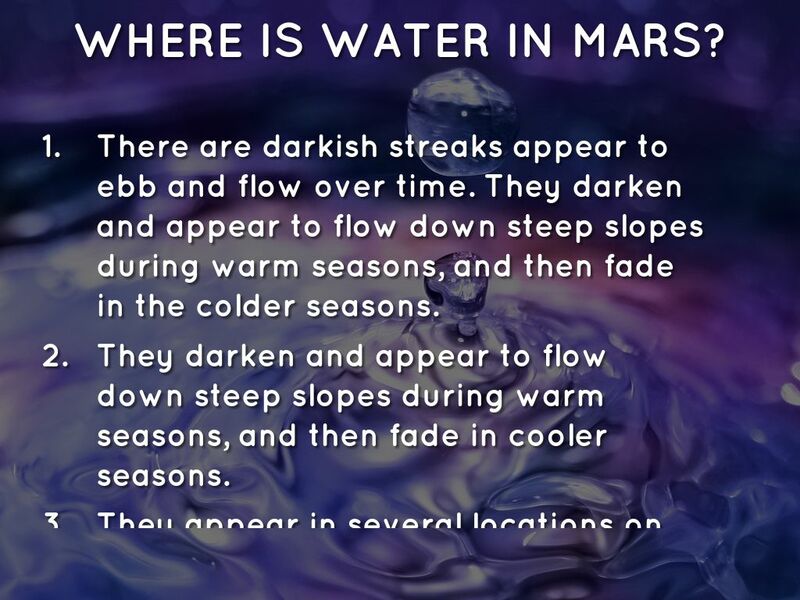 WHERE IS WATER IN MARS? 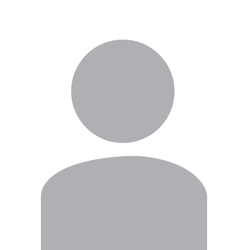 There are darkish streaks appear to ebb and flow over time. They darken and appear to flow down steep slopes during warm seasons, and then fade in the colder seasons. They darken and appear to flow down steep slopes during warm seasons, and then fade in cooler seasons. They appear in several locations on Mars when temperatures are above minus 10 degrees Fahrenheit (minus 23 Celsius), and disappear at colder times. 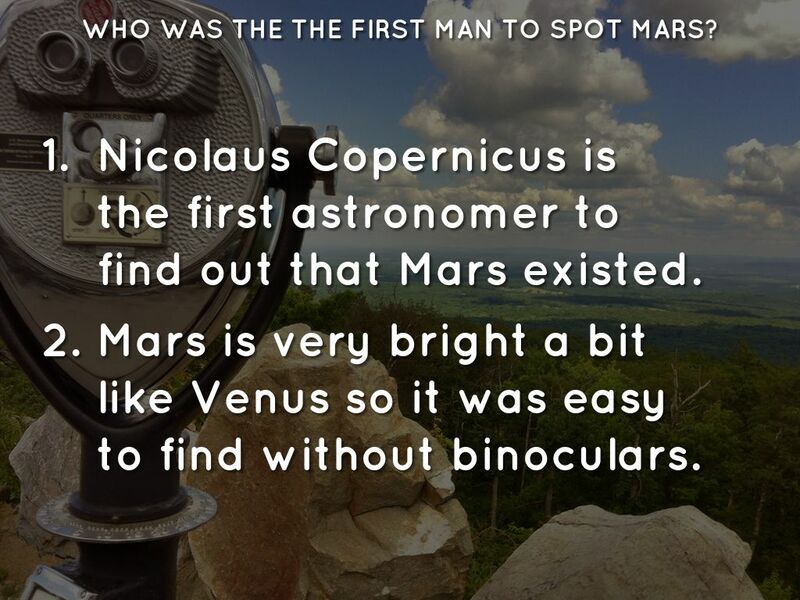 WHO WAS THE THE FIRST MAN TO SPOT MARS? 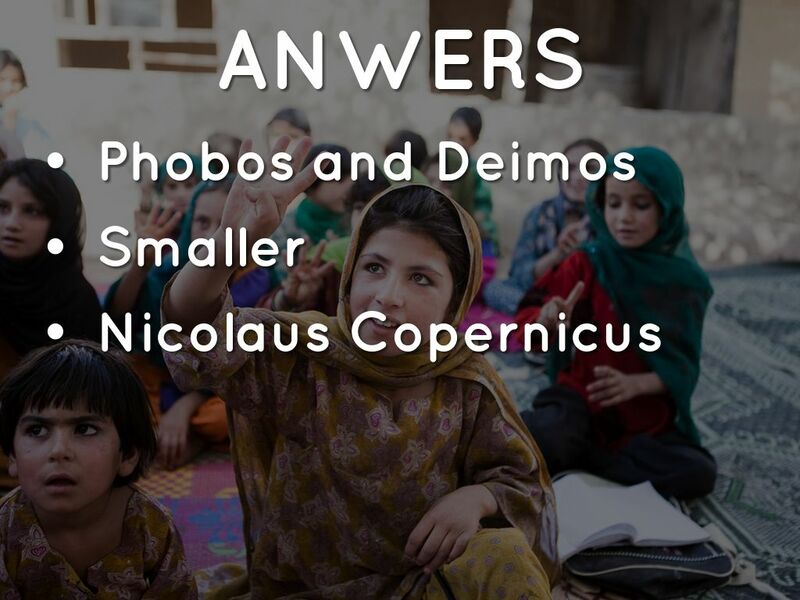 Nicolaus Copernicus is the first astronomer to find out that Mars existed. Mars is very bright a bit like Venus so it was easy to find without binoculars. Scientists still hold out hope for life on Mars. 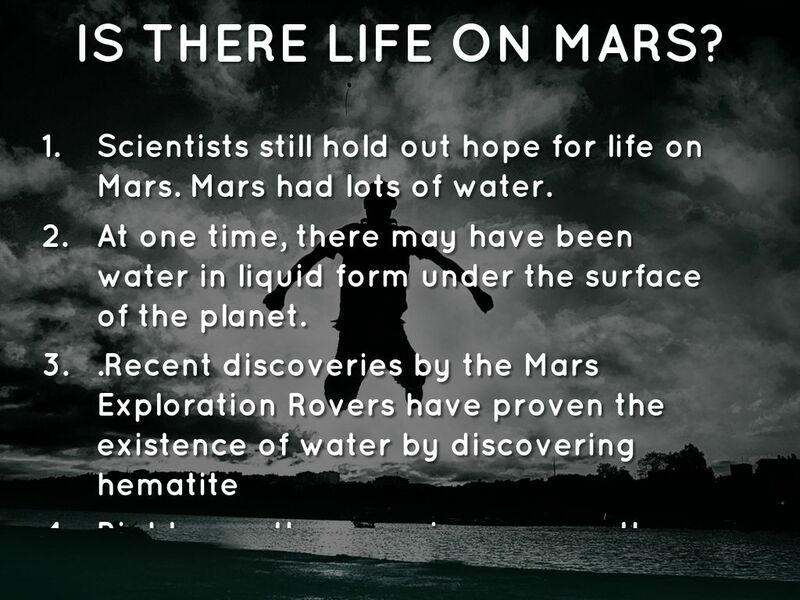 Mars had lots of water. At one time, there may have been water in liquid form under the surface of the planet. Right now, there are ice caps on the surface.Where there is water, there could be life. 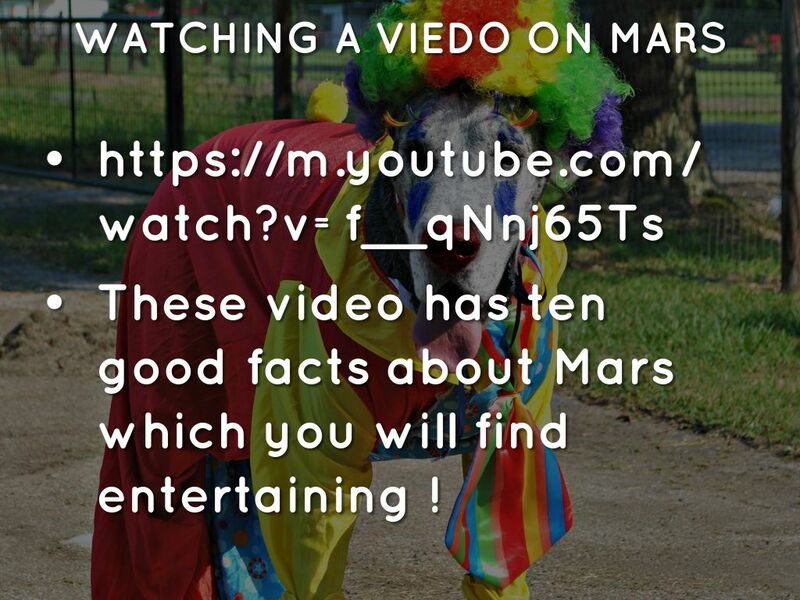 These video has ten good facts about Mars which you will find entertaining ! What are Mars 's two moons? 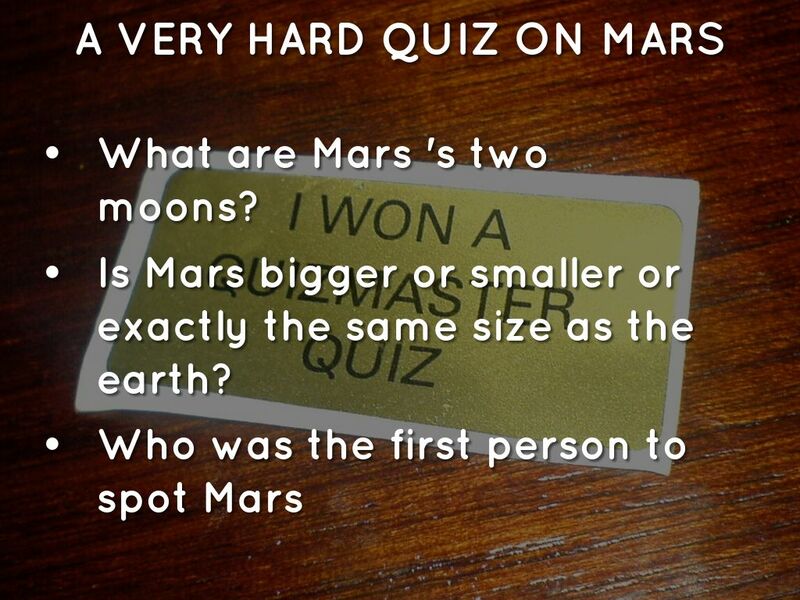 Is Mars bigger or smaller or exactly the same size as the earth?